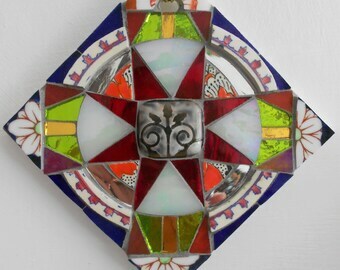 I've been making stained glass on and off for more than 30 years. 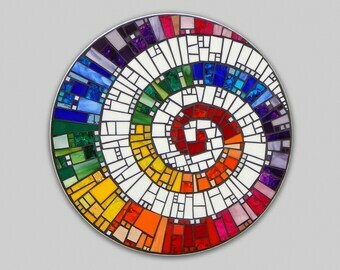 I love the experience of lifting each new piece up after it is soldered to see exactly how the colors look in the light. 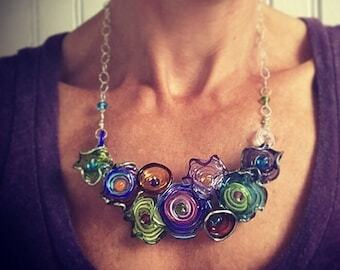 And I love how each piece changes as the light changes day to night. My designs are all my own, and I'd s …ay more art than craft because I've never been very good at precise straight lines - I prefer a little whimsy and undulation. Over the years I've set up shop in unheated basements and corners of living rooms. Here in Savannah I have the luxury of a studio in a spare bedroom filled with light. I'm fascinated by rainbows - both in terms of glass colors and the refractions of prisms and bevels - and the sea (I've lived in Florida, California, St. Croix in the U.S. Virgin Islands, and now Tybee Island is my closest beach), so many of my pieces reflect the colors and creatures, real or imagined, associated with swimming, sailing and just relaxing at the beach. I also love the landscape of Utah, where I lived for several years. There's no ocean there now, but evidence of a former ocean is everywhere you look. Robin hasn't made any lists... yet.